Reduced levels of tiredness and fatigue in muscles and joints following competitions and training. Joint and muscle injury prevention (calcaneal spurs, tendinitis, plantar fasciitis, etc.). Prevention of pain and inflammation resulting from prolonged or intensive training sessions or resistance sports competitions. Resulting in improved sports performance. WOUND is an all-in-one wound healing product, specially formulated from a synergistically acting combination of Neem Oil, St. John’s Wort Oil and Olive Oil. WOUND is suitable for the self-treatment of abrasions, cuts, burns, non-healing wounds and skin defects associated with different types of skin disorders. WOUND is a 100% natural, preservative-free product enabling a non-toxic, painless non-touch application. 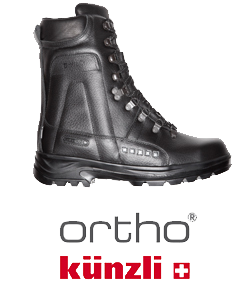 Stability Boots stabilize the ankle and foot ligaments and prevent supination and tibia rotation. Stability Boots conserve gait symmetry, allow controlled motion, and stimulate muscle activity. The stimulated metabolism helps reduce swelling and leads to faster recovery. Stronger than your pain! Perskindol is applied externally for joint and muscle pain relief.